Home / Family Life / Tips for Choosing Homeschool Curriculum…plus my picks for next year. 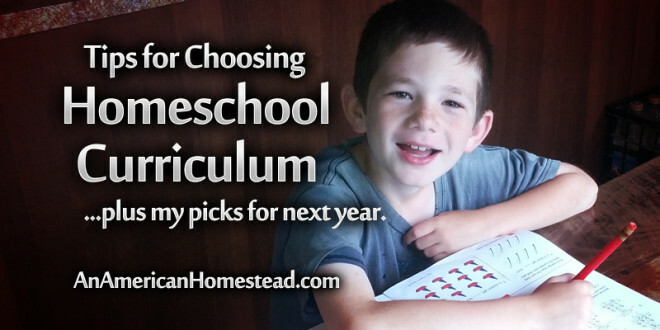 Tips for Choosing Homeschool Curriculum…plus my picks for next year. I get a lot of emails from moms who are just starting out with homeschooling. The theme of these emails is all the same. They are overwhelmed! I know that feeling very well! I am constantly astonished at how many curriculum choices are out there. Homeschooling has become so popular and there really is something for everyone, including developing your own curriculum. 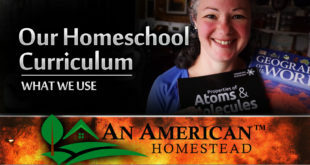 Regardless of your individual philosophy, delving into the world of homeschool curriculum can cause even the most dedicated homeschool parent to pull out their hair. If you are like me and struggle with being overwhelmed at all the choices, never fear! You can do this! 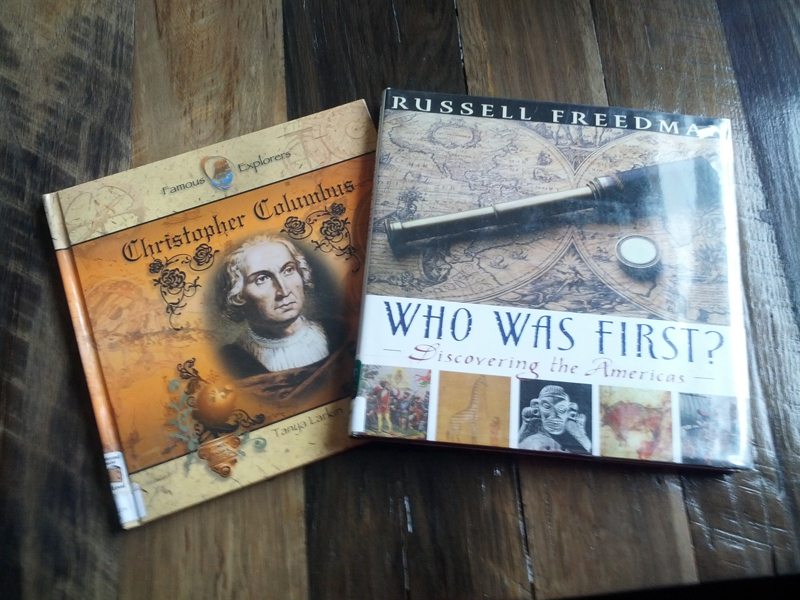 My oldest is entering 3rd grade this year and for the first time, I actually had fun picking out our curriculum. I certainly do not consider myself to be a “seasoned” homeschool mom, but I do have a few years under my belt and I feel a lot more equipped than when I started. When I first began homeschooling, I chose one curriculum for all the subjects because I did not know how to cater my choices to the needs of my child. For the last three years we have used Rod and Staff, developed by the Mennonite church and sold by Milestone Books. I still love it for its simplicity, emphasis on Bible knowledge, and how it stresses a country/rural life. Plus, the books are so affordable! But after seeing my son struggle over and over again with certain concepts, as well as wade through the very tedious and writing intensive workbooks, I was ready to try something new. 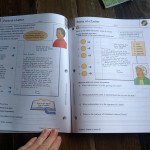 Rod and Staff is great for the self-motivated learner who can keep moving through the questions and problems on each page. I have found that it has not been a good fit for my son, who very quickly loses his attention when his interest is lost. He simply gets bogged down with too many details. It felt so good for me to choose our curriculum with confidence this year. Maybe you are new to homeschooling and overwhelmed with all the choices, or perhaps you just need the encouragement to ditch a tried (but not true for you) curriculum for something new. Here are my tips for delving into the immense curriculum world and choosing what will work for you and your family. At the bottom of the article, I’ve included the list of my own curriculum choices for our 3rd grade year. 1. Invest some time in learning how your child learns the best. 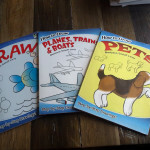 If you are starting out in Preschool or Kindergarten, consider purchasing a few cheap activity books or workbooks. I’ve found many good ones at the dollar stores and big box stores, as well as online. As you work through these with your child, you will begin to get a good idea of how your child learns and what to look for in future curriculum. Learning how your child learns is so important and will save you money on failed curriculum choices in the future. 2. Choose something you like and are able to teach. Think about what would work for your child, but don’t forget about yourself. If you enjoy the curriculum, then you will love teaching it and your enthusiasm will rub off on your child. And don’t forget about your time! That’s a big deal for me because I have a lot of other responsibilities. Some curriculum can be very time-consuming for the teacher. Consider the time involved to teach whatever curriculum you choose and how that will fit into your life. If you don’t enjoy teaching your child and can’t find time to do it, homeschool will become a never-ending chore and both of you will want to give up. 3. If you have homeschooling friends, ask them about their favorite curriculum. Ask if you can visit their home to look at their books. Most homeschool moms are excited to talk about what they use to teach their kids. We are a passionate bunch and love our books! I will give one word of caution. Make sure you find moms that can help you without expecting you to duplicate their choices. Some moms can get offended when you make different decisions. Just remember that not every curriculum works for every family and situation. Choose what will work for you! 4. Take advantage of social media to ask homeschooling questions. Fill your friend’s list with other homeschoolers. Search for Facebook groups devoted to homeschoolers. If there is a curriculum that you think you might want to use, there is most likely a Facebook page devoted to it. Again, moms love to talk about the books they love! 5. 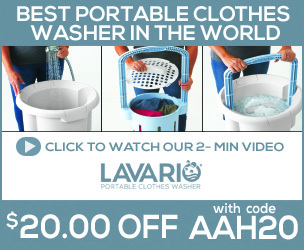 Search for online reviews. One of the sites that I find myself returning to over and over again is CathyDuffyreviews.com. Cathy does an incredible job of summarizing different curriculum. I especially love that she describes how a curriculum would be good for a specific type of learner, as well as how time consuming the program is for the parent/teacher. This kind of information is so helpful! 6. 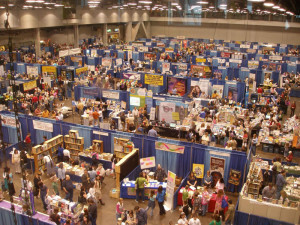 Visit a homeschool convention. 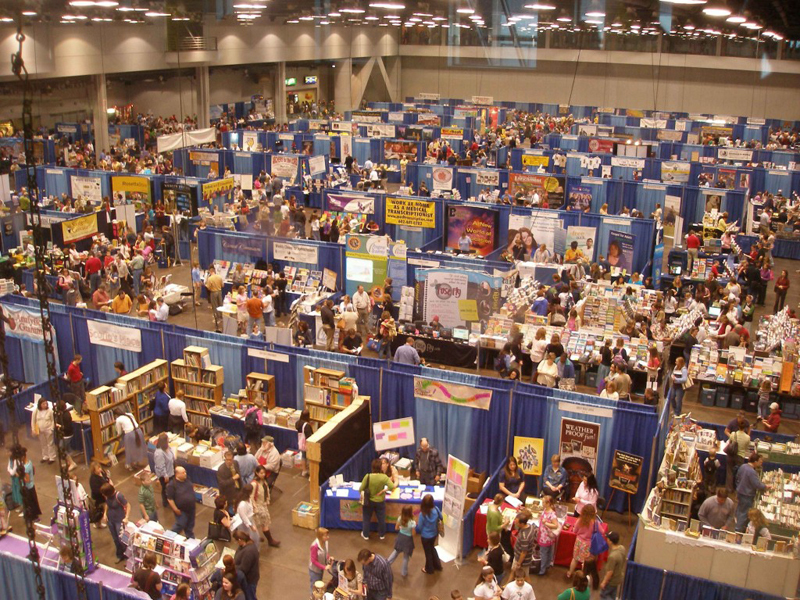 Many curriculum vendors sell their books at these conventions and they are an excellent place to look through a lot of curriculum. Honestly, I’ve never been to a homeschool convention and I feel like I have been able to homeschool just fine. I get easily overwhelmed with too many choices and I need lots of time to process what I’m seeing before making a decision. However, I know a lot of moms who purchase curriculum at conventions. The best strategy is to do your research before you go and have a list of your top curriculum to look at. We all love to see and touch before we buy and conventions are a great place to do that. 7. Don’t be afraid to make a choice. But once you do, stick with it! My rule for myself has always been that I will never buy curriculum until I am absolutely sure that it is what I will use. And once I buy it, that’s it. No quitting to start something else during the year. 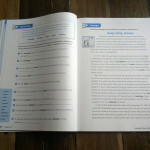 Getting into a homeschool groove can be difficult in the beginning, but it doesn’t mean that your curriculum choice was wrong. Choose to stick with your curriculum until the end of the year and then re-evaluate for next year. It takes time to learn what you and your child need out of a curriculum. Plus, books are just too expensive to try out and discard for new ones. You can homeschool your children! It takes some time to get started and choose your curriculum, but don’t let that scare you. It can actually be fun. I love thinking about what my son will love when choosing his books. And there is no better feeling than seeing the delight on his face when he is really enjoying what he is learning. It is so worth it! Everything that you see below is what I will be using for 3rd grade. Click on the pictures to see them bigger. Bob Jones University. I love their thorough approach to math. 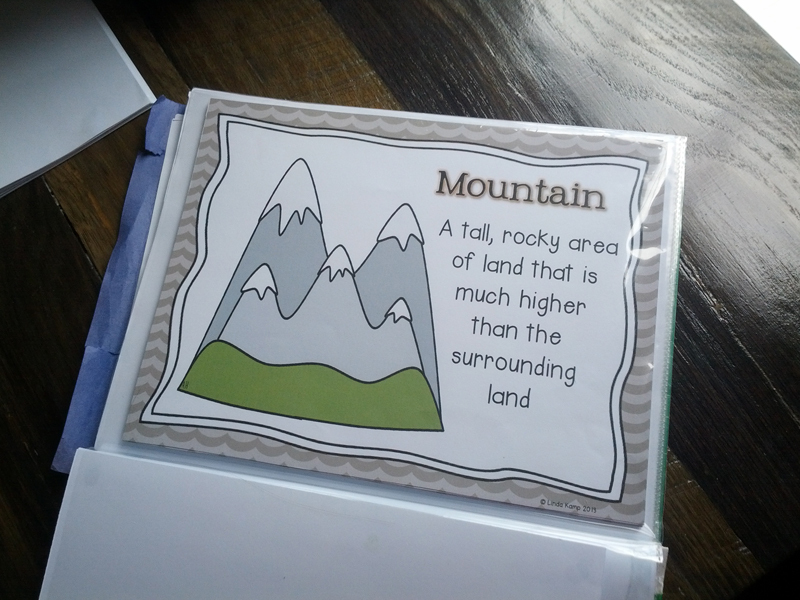 The stories that go along with each chapter, as well as the age-appropriate content and graphics, keep my struggling math student moving through each lesson. Joshua is learning cursive over the summer and will continue with it in 3rd grade. 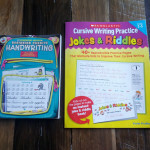 For his beginning practice we are using “Beginning Cursive Handwriting” and “Cursive Writing Practice: Jokes and Riddles”. As he gets better, he will do copywork from the Bible, as well as other notable phrases. Bob Jones University. English was one subject that I had actually been very pleased with in the Rod and Staff program. It was pretty comprehensive, but after seeing the BJU program, I changed my mind. I love Bob Jones’ emphasis on writing. Every other chapter teaches writing composition with lessons on how to write things like a letter, game instructions, and even poetry. 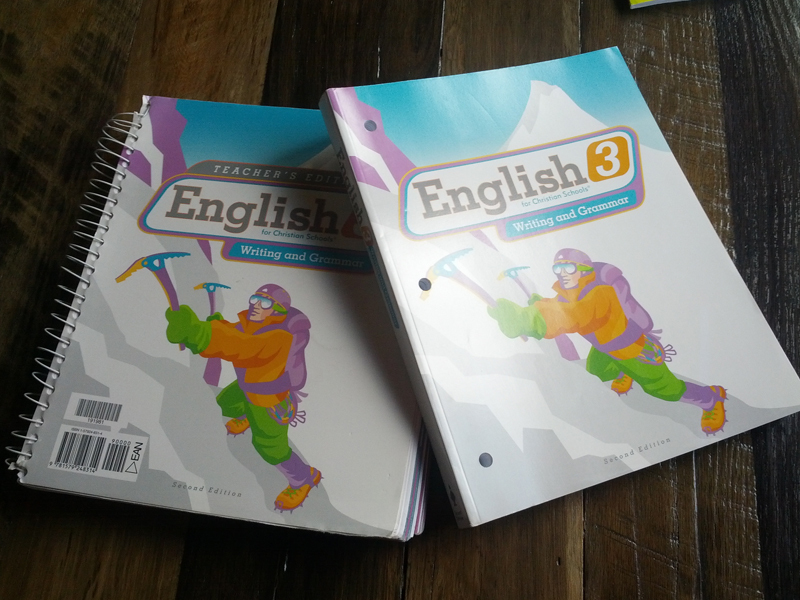 It teaches all the important grammar, and it cements it by putting it into practice. 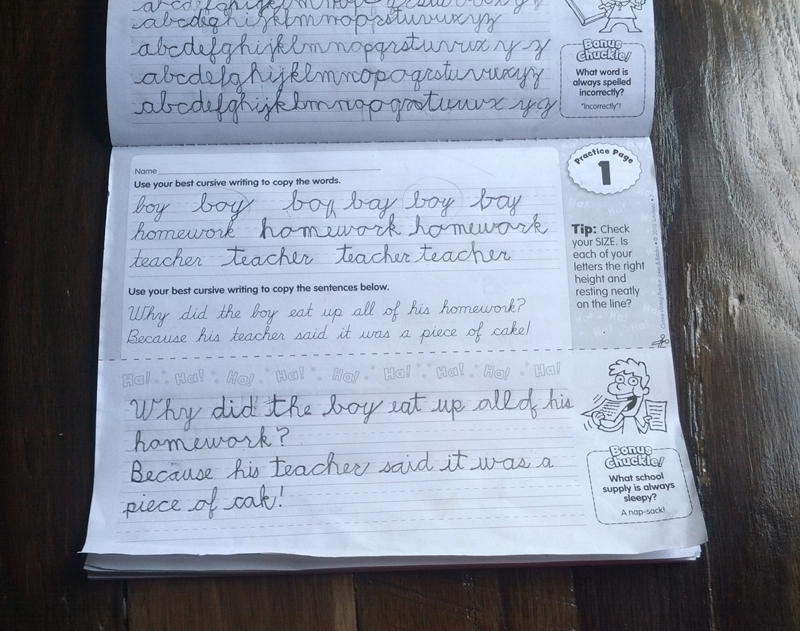 I believe that teaching children how to get their thoughts out on paper in a interesting, understandable, and correct way is a very important life skill. 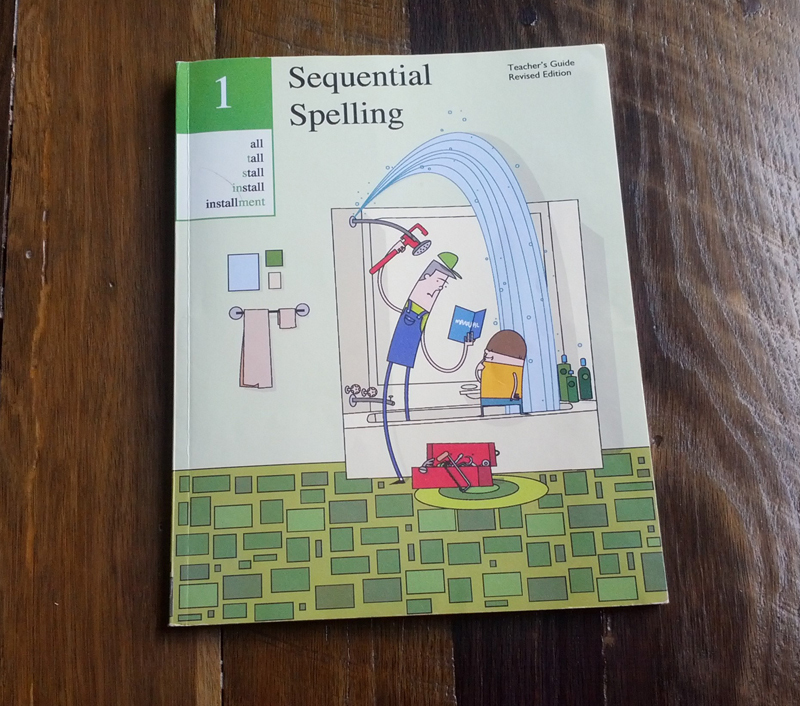 Sequential Spelling. 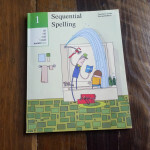 Instead of memorizing a list of spelling words, kids learn how to spell by learning root words and sounds. The parent/teacher dictates a list of words and the student writes them down. Each word is corrected before the student moves on. Children are able to spell completely new words because they are similar to words they have already spelled. Wordly Wise. 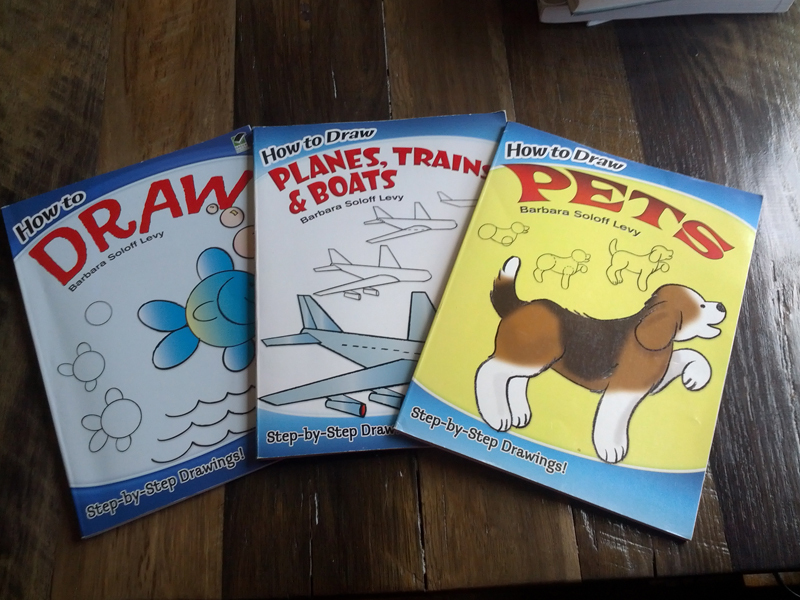 We are not doing a specific reading program this year because Joshua is now reading books on his own. He also has a good amount of reading in his Science and Social Studies lessons. 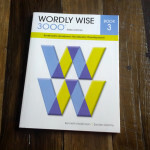 I decided to include the Wordly Wise program because of its focus on vocabulary and learning definitions. 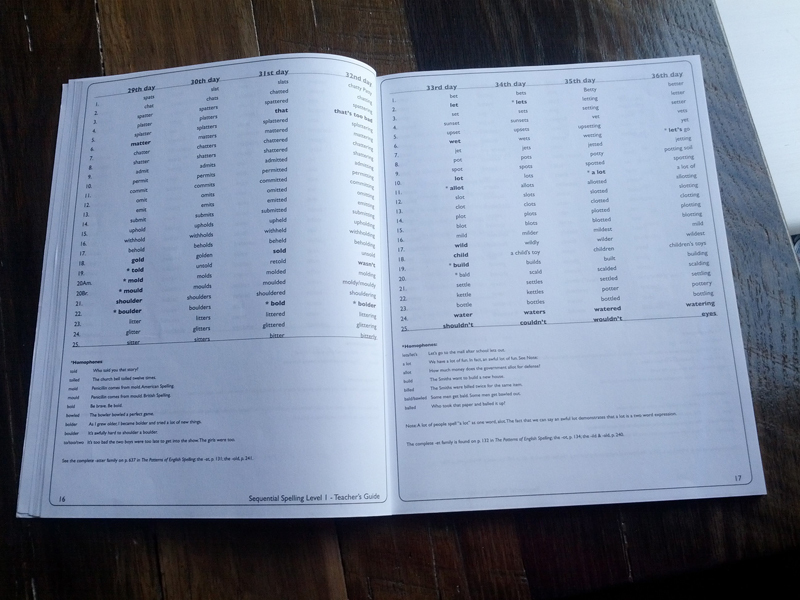 There are weekly word lists and a different lesson each day to examine the words. 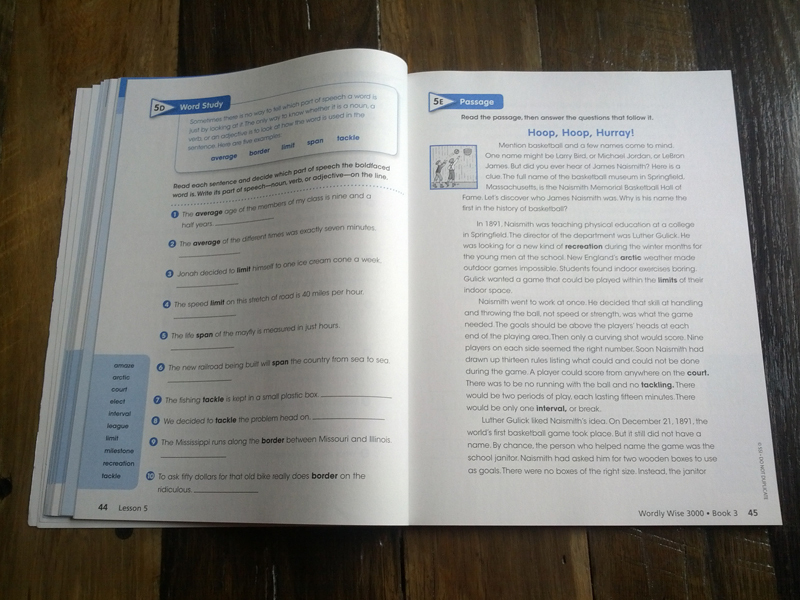 The last lesson gives a story using the words to test a student’s reading comprehension. 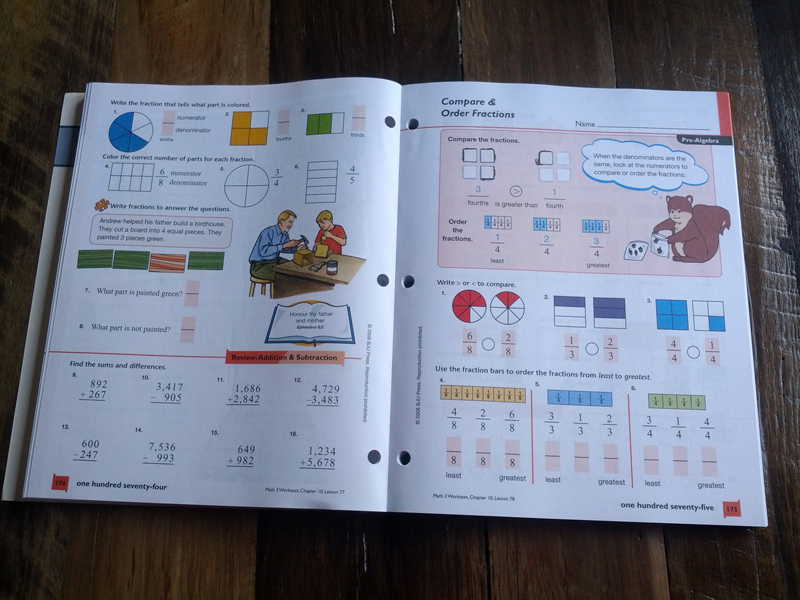 I like how the workbook is laid out in a more standard school and test layout, which will prepare Joshua for any future standardized tests. 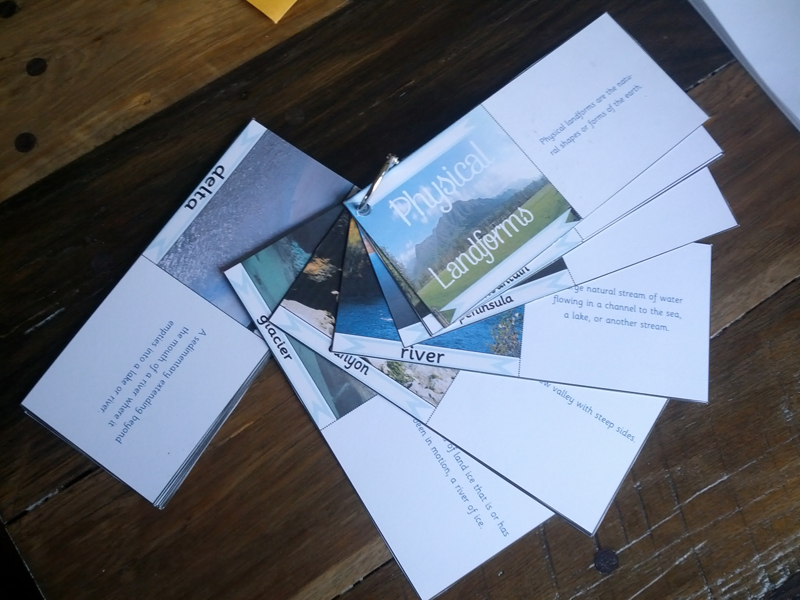 Apologia’s Young Explorer Series. In Joshua’s younger years we did the typical general science lessons for his age. Our curriculum last year was usually pretty boring to him because the lessons focused on things like flowers, animals, and the moon and stars. While these are great things to learn about, he is well familiar with them because of our life on the homestead. 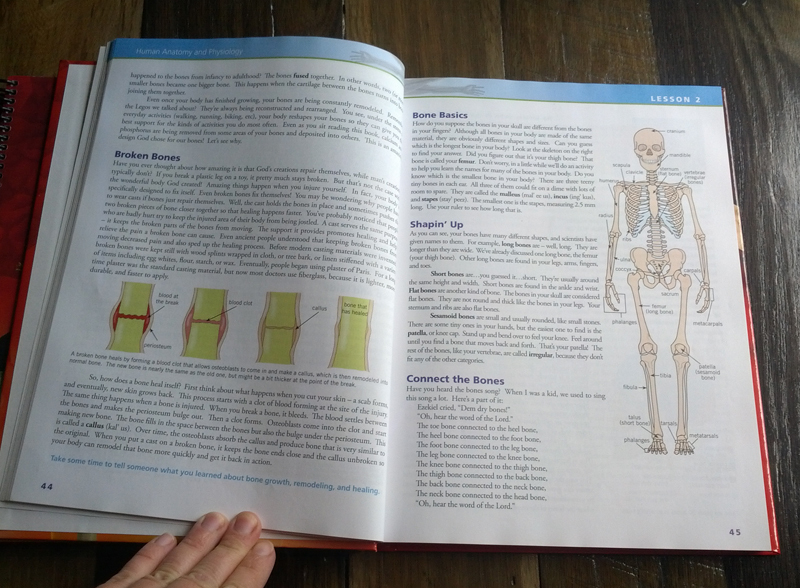 This year, I’m excited to delve into human anatomy. I know he will love it! If you have a kids of many ages, Apologia may be for you. Their program allows you to teach Science to many different grade levels. 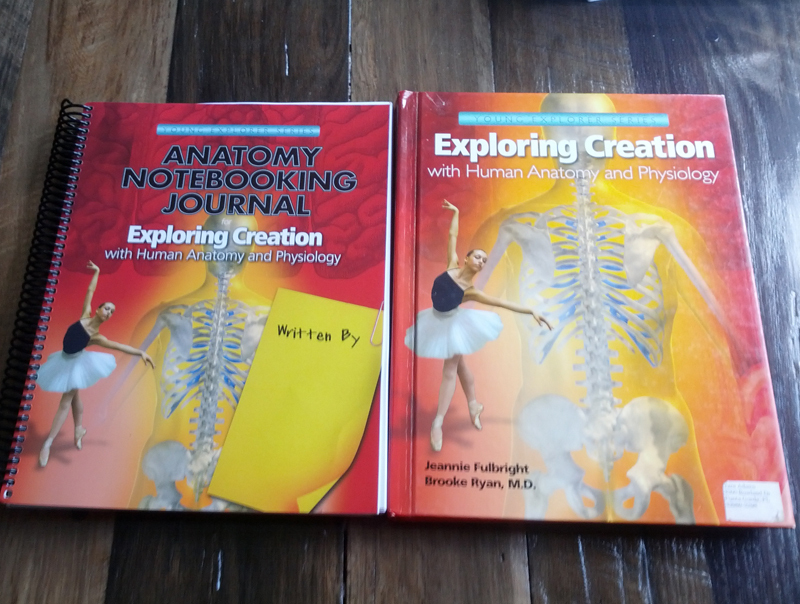 Exploring Creation with Human Anatomy. Topical unit studies. 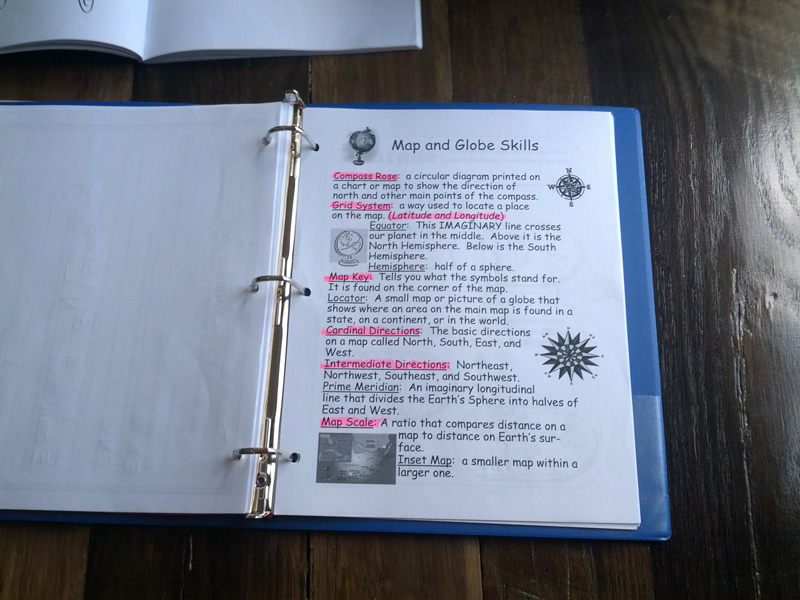 I decided to put together my own Social Studies curriculum this year. We are currently working through a unit on maps and landforms of the world. After this we will move on to American History, beginning with the explorers. 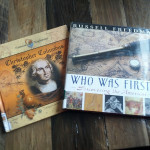 We will read library books about historical figures and events, as well as incorporate worksheets found online. 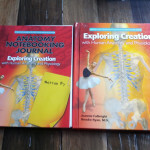 There are many free worksheet sources and lapbooking materials available online. One of my favorite sites is teacherspayteachers.com. 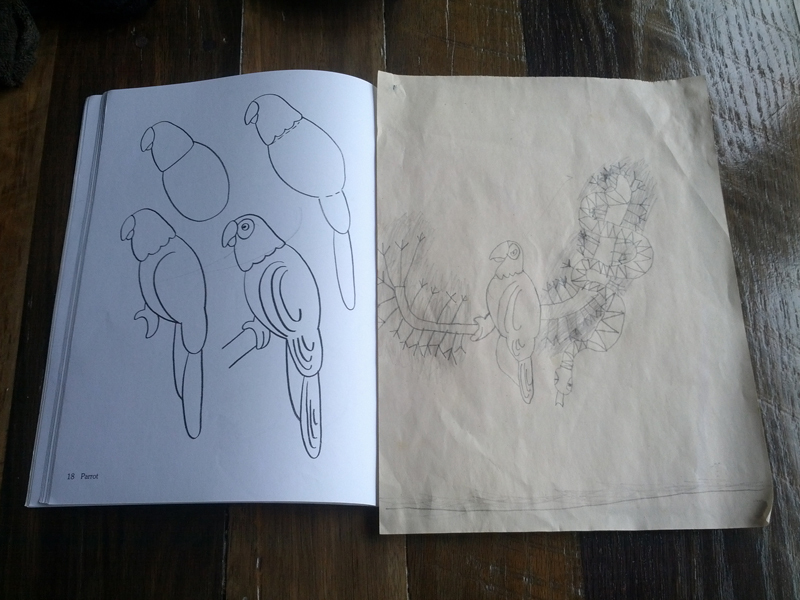 How to Draw books by Barbara Soloff Levy. These are great for beginning artists. 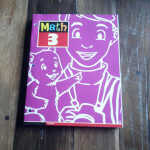 They offer step by step diagrams and teach kids how to draw by using simple shapes. 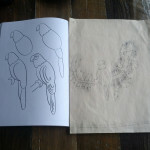 Kids can learn to draw by drawing their favorite things. Joshua also loves doing crafts. He now has his very own craft table to work on his creations. Jaimie lives with her husband on their off-grid homestead known online as An American Homestead. They live with their two sons and her parents Tim and Joann on 50 acres located deep in the American Ozark Mountains. 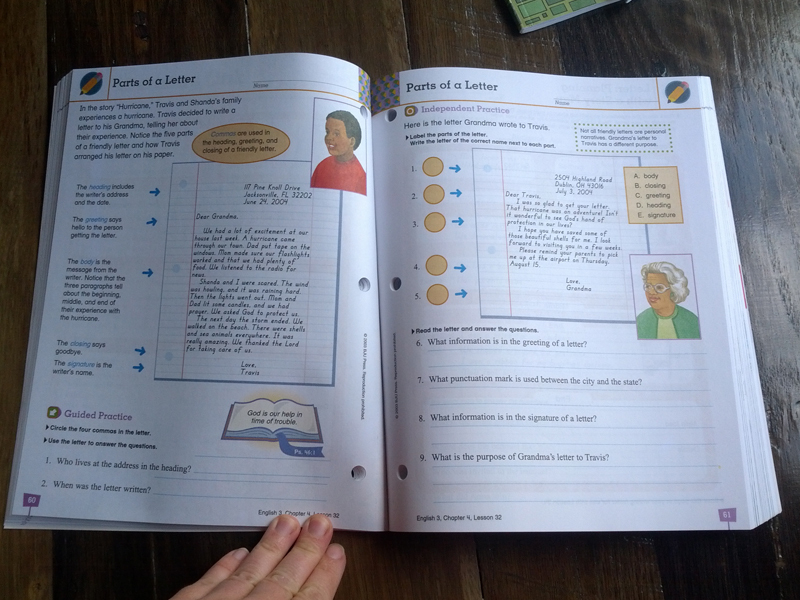 I liked Christian Liberty Academy publications for social studies/history. They have some really nice books of history stories for young children. 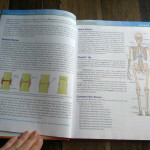 I found that the books were really great supplements to any curriculum and very affordable! You may not consider yourself a “seasoned” homeschool mom, but your advice it spot on! I also think your curriculum choices are excellent! 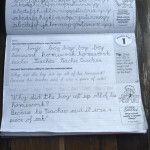 We love Rod & Staff English and have always been fond of A Beka maths, but this year, I was given a Bob Jones math and decided to give it a try. It was great! I wish I had known more about BJU Press sooner. Thanks for the homeschool article. It’s always fun to see how others are schooling! Thanks Amanda! My neighbor introduced me to BJU Press. I wish I had known about it sooner too! 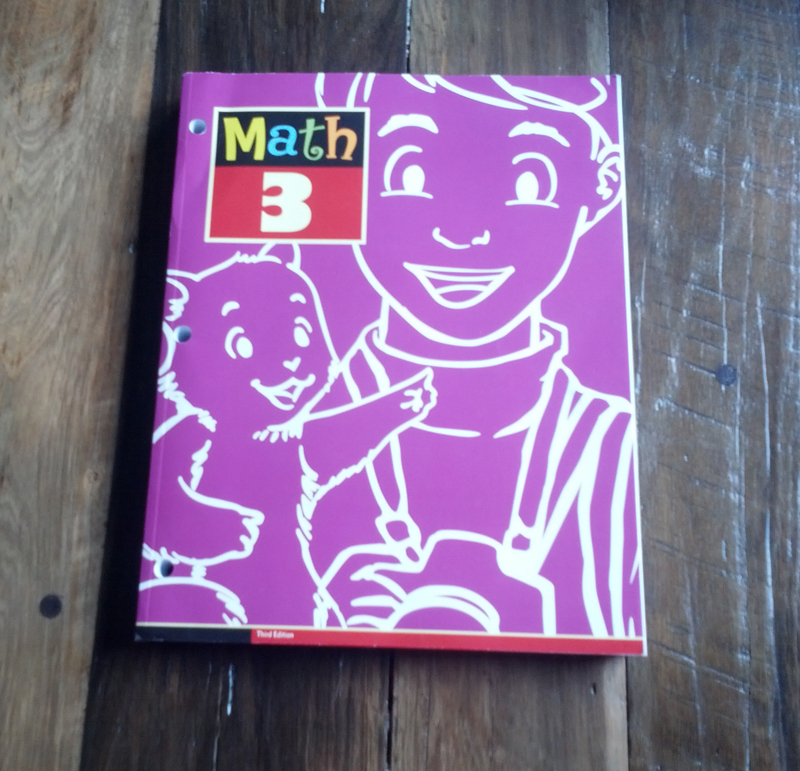 I actually decided to take Joshua back to Math 2 over the summer. 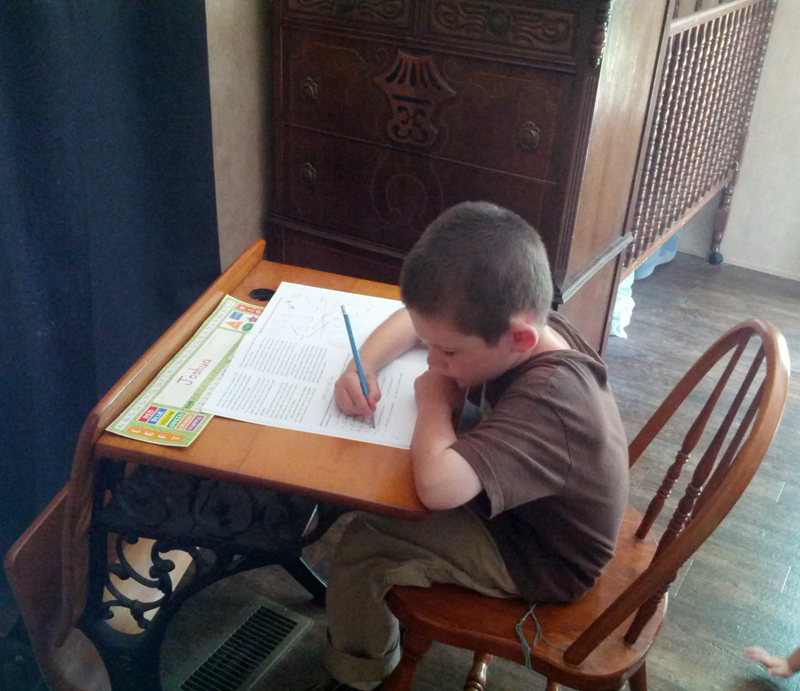 He is doing well and hopefully will be ready for 3rd grade in the fall. Wow! BJU includes so many concepts that he had missed with R&S. I absolutely loved this article! 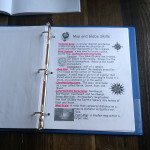 I have found an over abundance of online resources for home school curriculum that it is simply amazing! With me staying at home, we can’t afford to purchase curriculum so I did research for almost an entire year before choosing which curriculum would work best for my children. My oldest daughter will be starting 3rd grade this year as well and my two youngest boys will be in 1st grade and preschool. 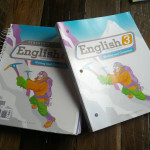 I was able to find free curriculum that fit all of their needs and they are really excited for August to get here to start the new school year! I have to say I am really excited as well. One point you made has been a lifeline for me and that is finding other home schooling moms who can encourage and help you along the way. My best friend has been home schooling her 3 daughters for the better part of 10 years and she has been such a tremendous help! Thank you for another great article Jamie! I really enjoyed this one. God bless. We are starting apologia this year too! I’m still trying to figure out what to do next year. I have three now and I feel a bit overwhelmed. I’m wondering how much time a day do you homeschool? What does your schedule look like? I had some serious time management issues and can’t seem to spread myself thin enough to meet the demand of three grades and learning styles. I know you’re not there yet, but you seem to organized. Thanks for any advice you could throw my way. A schedule is so important! I’m always re-evaluating and switching subjects around to make sure that my son can finish the work I have assigned him to do alone. He often has trouble focusing, but I want to make sure that he is spending an appropriate amount of time working alone without getting bogged down. A schedule is often a work in progress. It will take some trial and error to get there and figure out what works for you. Be patient with yourself. 🙂 Keep breakfast simple. Get up, get dressed, eat and get started homeschooling. When you can stick to a schedule, your kids will know what to expect out of the day and learn to get going. I think that’s half the battle! 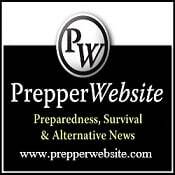 Check this article out too. I’m definitely going to add this idea to my homeschool day! It’s simple, but brilliant. While I am not one of the pioneer homeschoolers, it appears I am one of the early mainstream homeschoolers. I have seen a change in homeschooling from the character based life learning home program most of the early homeschoolers used to a more school at home curriculum based approach. The Big Book of Homeschooling Paperback – January 31, 2014 Debi Pearl (Author) actually addresses this issue since she too has seen the change first hand. This book provides many of the practical approaches that I myself used many years ago. 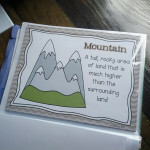 This resource is best for elementary and preschool aged children. Aside from that resource, I would recommend the Moore Formula Manual. 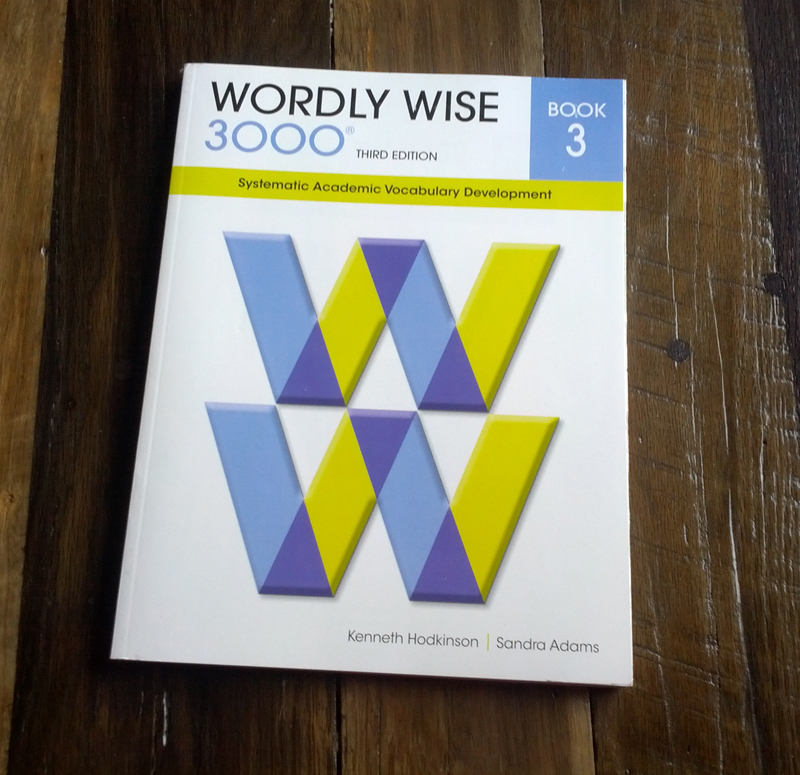 This is the best tool to learn how to put all those wonderful homeschool principles to work. The best self-help book in homeschooling. This manual was written by the educational counselors of Moore Academy in collaboration with Dr. and Mrs. Moore. Use for all your homeschooling years. 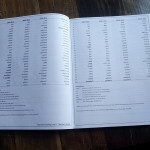 It comes in a large binder for @ $50 and can be used from preschool through high school. I actually used this resource myself and would consider this to be the only item I would purchase. Borrow the rest from the library or access free online. I personally did not use “standardized” curriculum until my son started Algebra 1. He finished Calculus 2 last year and had no issues with his academics. (He has even tutored private school students because he actually understands the language of math) I choose Saxon Math for Algebra 1 through Calculus 2. I however would not use a standardized approach to math prior to Algebra 1. If you are concerned about gaps you could use Saxon 7/6 as a review before you start Algebra 1 to make sure your child understands the basics in full. Teach math as it applies to real life. My advise is not to use standardized curriculum until your child is starting high school. 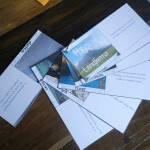 There are plenty of publishers out there willing to take your money. I am not stating that you should not teach your children, I am simply stating that curriculum does not equal education. 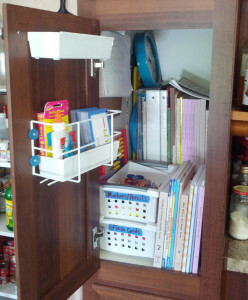 Do not waste your child’s life filling in workbooks and draining the love of learning by confining them to a desk too soon, not to mention the stress and burnout of the school at home approach. I will agree to disagree with you. I know that there are many who are proponents of what is commonly called the “unschooling” method, but it is not for everyone. It is definitely not for me! Every homeschool mom should talk to other homeschool moms, research options, look at curriculum…whatever she needs to do to decide what works best for her and her children. I believe that one method/curriculum does not work for everyone! The beauty of homeschooling is that we get to decide! In my case, having purchased curriculum has made my homeschooling life enjoyable because we can open the books and go. I spend very minimal time planning. I also strongly believe that there are many lessons to be learned with having a child learn to sit still, read and follow instructions, and persevere through lessons that may be difficult. Yes, we are teaching the love of learning, but we are also teaching that sometimes things are hard. But we don’t give up! We push through! Have you done a history curriculum yet? Beautiful Feet Books is a great one for young children (and old, mine are just young) and what we use but I wonder do you have access to a local library? We want to be homesteading ourselves as well in the next couple years but this is something I have been thinking about. If you are not close to one do you find it hard or just use web access to fill in areas you may feel you need a bit of extra supplement? Very thankful for you and you family documenting all you do. We find it very inspirational and educational. We are using A Beka academy for 9th grade. They are pretty self disciplined now. We use DVDs. I understand Ron Paul has a good new homeschool for subjects like, economics/banking and our political system. Mine attended Adelson in 7th. 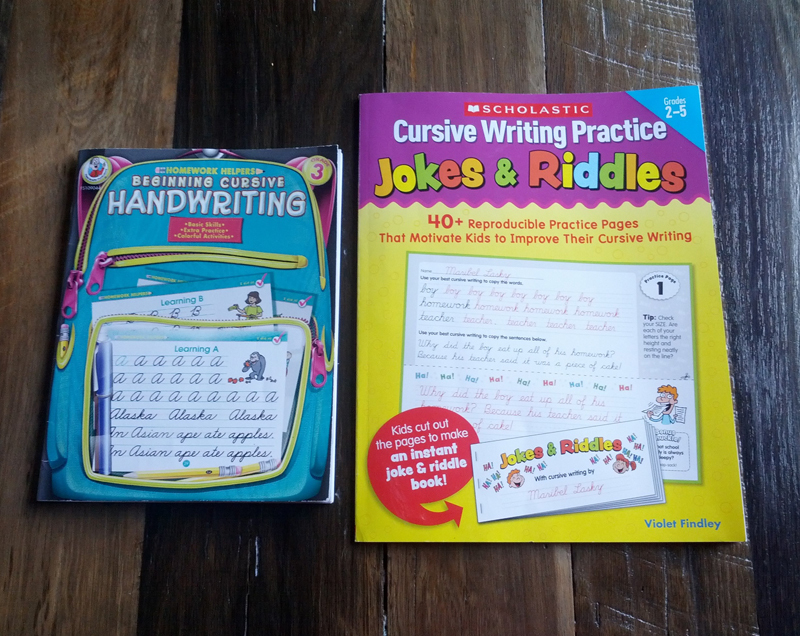 Jaimie, the cursive and strong math basics sounds great for this age. My kids loved Legos and puzzles when small. There’s a book called, “Unschooled” that I enjoyed reading for my pleasure. It was about a hippy grandma and her country grandson who felt the greatest invention ever was duct tape. It’s about: grandma landed in a hospital, grandson in public school, how kids teased him, but he mistook it for a strange way of making friends/thought city kids wired, and how he ended up winning them all over as friends, and being elected to class president. It’s for old hippies like me. Fun reading. Made me laugh. The book is bright school bus yellow. Believe me, no one will teach you’re child as well as you moms if you just relax and teach the basics, math and reading books, writing interesting stories your kids make up or about adventures they have. I collected Hardy Boy books and at age 9, Bret would read about 2 or 3 a week. Very fast reader! He wanted a toy when he was a bit older and his dad said ok, but first he had to learn to type/memorize the keys on a keyboard. Took him one evening. Floored his dad who wasn’t quite ready to shell out the funds yet. I did like the Brainy Baby DVDs. This was an electronic exception. I did use it. The dad had years teaching and designed it for his daughter. There are about 25 basic words in each DVD. I think there are 5 DVDs in all. The child sees, hears, and you play by moving the child’s arms to trace letters. (Utilizes many senses to learn). These words contain all sounds made in our language. Children are sponges. When they learn these words, they actually can read anything, even very early. I never expected mine to learn like his daughter did, but one day I was stopped at a stop light. My twins were in diapers in back. My son read the ad on the truck next to our car. It said DART in big letters. Bret was sounding the letters out and said, “ddddd,aaaarrrrrrrkkkkkk. Dark.” He hadn’t learned the difference between the K and the T yet. I was shocked. My baby was reading at about 20 months. Yes! On to potty training I thought. So just let their happy, curious minds dictate. They will let you know what they enjoy. Have fun and be happy. If learning or teaching is a chore do something fun like putting together a collect rocks or leaves or bugs. I love this article! I wish to homeschool my children. I have looked up the laws for Washington State for homeschooling and it requires you to have a 2 year degree in teaching or you must chose one of their homeschool approved programs. Most of these require internet which I do not have at my homestead. I want to use the Rod and Staff Curriculum, I just do not know if this State would approve it. I want to homeschool but I don’t want any legal trouble either. Do you have any advice? Hey and thanks for emailing us. Yes I would move to a more homeschool friendly state. There is a family that lived in California that is moving very close to us for the same reasons. The reality is that you are in search of freedom. Many people before you have had to move in order to find it. I know your post is a year old, but I am a homeschooling mom in Washington state, and actually you can still homeschool without a 2 year degree. You just need to attend the Parent Qualifying course, which isn’t long. You can still homeschool independently (using Christian curriculum, etc. ), without a homeschooling program. You should look into it-I know a lot of homeschool moms who don’t have 2 year degrees! Washington state is actually quite homeschool-friendly. We don’t have to keep a portfolio of work (though it’s nice to, for yourself), the children only have to take a test at the end of each year, and the test is just for your information (nobody else has to see it). I was wondering what you do as far as social interaction with your children since they are home schooled? I have thought about homeschooling but I am afraid he would be lonely by himself and miss interacting with other children on a daily basis. Thank you.